For us, this is where the fun begins! You know us, now we get you meet you. Finding someone you entrust to film your day is the hard part so the process from here is simple. We’ll start by getting caught up on the love story, from there start the process of telling it beautifully. Head over to our contact page and let us know your date and location. We first need to make sure we available to celebrate with you. From here we'll set up a consultation with you and send through a quote. The first thing we like to do is sit down at one of our favourite local cafes or set up some time to talk over the phone. During this time we'll step you through the process, pick out a package, reserve your date and answer any questions you may have. Following our consultation I'll send through your access to our online portal where you can find your contract, questionnaire and invoice. 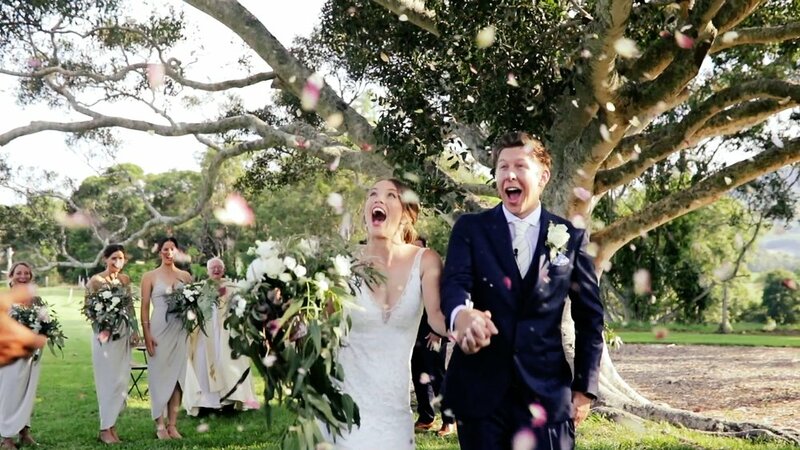 Now you can officially tick 'lock in wedding videographer' off your list! Within your online portal there will be a questionnaire where you'll be able record the vendors you are using and the high level timeline of the day. We'll work closely with your photographer, and if you are planning a location scout with your photographer, we will also attend if available. At least one week prior to the wedding we'll confirm your official run sheet. Both of our packages include full days coverage, from prepping with your bridesmaids and groomsmen, to the moment he first see's you, to those hidden 'we're married' giddy kisses, to boogying on the dance floor. There are so many precious memories taking place on this day so we want to ensure none are missed so you can cherish them for years to come. Here's to the beginning of your marriage! The flowers may be wilting and the cake may be eaten but we promise some of the best bits are still to come! We now have the privilege of watching and working and fine tuning each element of your day to package it together in a film that reflects the day that was and the love that was celebrated. This process takes approximately 4-8 weeks (remember Rome wasn't built in a day) and we then delivered to you a film capturing the uniqueness of your love story.